President of Nagarro, North America, Vishal Gauri said that Nagarro's approach is strongly rooted in Microsoft technologies, and the addition of Microsoft Gold Collaboration and Content competency enhances their services offering and showcases their deep expertise in the designing and delivering powerful, scalable SharePoint solutions. 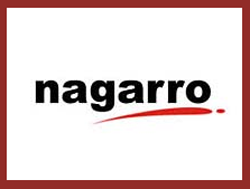 Gauri further said that Nagarro's SharePoint methodology, along with their proprietary tools and accelerators, allow clients to achieve cost-effective implementation and benefit from the latest advances in SharePoint technology. Corporate vice president, Worldwide Partner Group at Microsoft Corp Phil Sorgen said that by achieving a gold competency, partners have demonstrated the highest, most consistent capability and commitment to the latest Microsoft technology.